Our Great Lives in Colorado collects 33 bilingual little biographies written for elementary readers by Colorado teachers. Each book contains relevant historical photos and a wealth of information for young or learning readers. These make great gifts for school libraries and children, grandchildren, and young friends! We partnered with Denver Public Schools and Filter Press to produce this excellent series of books in an effort to help make the stories of Colorado history and its people more accessible to our Young Chautauqua students. Each individual “flip book” includes English and Spanish translations, historical photographs, study questions, glossaries, timelines and bibliographies. Educators and librarians have long wanted more Colorado history, particularly biography, written and designed for young scholars, and we are happy to announce that the Great Lives in Colorado History series is not easily available from Filter Press. Click here to order your books now. 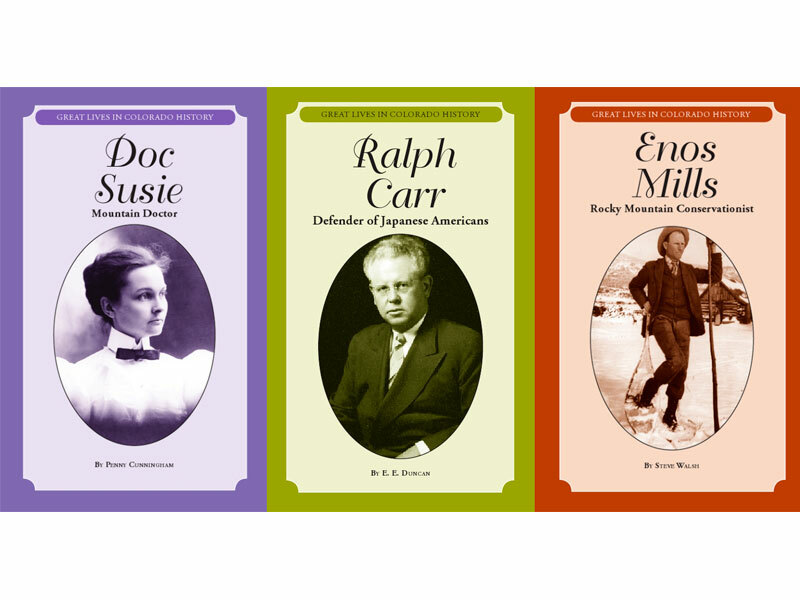 *As individual books or as full sets, these biographies make wonderful gifts for your own child, grandchild, library or school. Available through Filter Press.